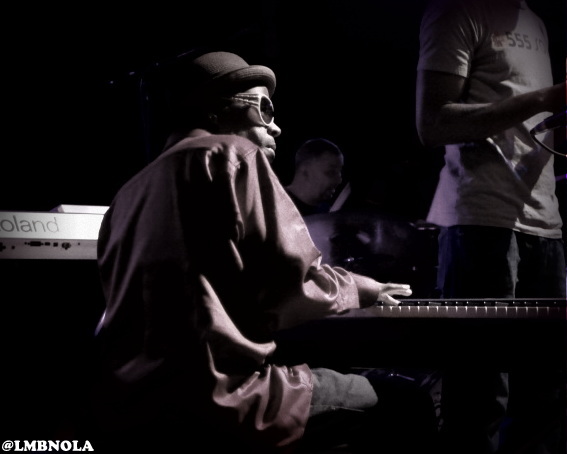 On Friday night, Tipitina’s Uptown played host to a special benefit for the Tipitina’s Foundation featuring bands and performers from New Orleans and the Baltimore / D.C. for a Treme v. The Wire Battle of the Bands show. For New Orleans it was Stooges Brass Band and Galactic and Lafayette Gilchrist and Anwar Glover & The Backyard Band repped the B/D.C. area. Continue below for a video from Lafayette Gilchrist’s opening set and a photo gallery from the show (with guest appearances by the characters Omar, Lester, Bunk and DJ Davis Rogan).